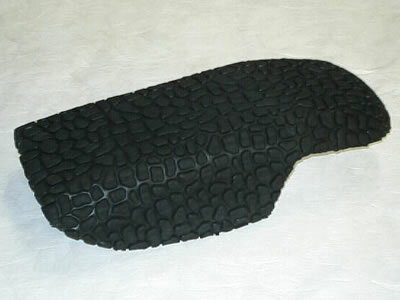 This composite chin pad is made of a fiberglass shell and liner giving great strength, yet light weight. Strength is the main advantage of our product compared to the stock unit. Weight is also decreased by about 20 percent. Freestyle riders have a tendency to destroy the stock unit. The front mounting tab is made from 1 x 1/8 STAINLESS STEEL. Not aluminum, plastic, or composite. Made to last and made to order. We can't guarantee how well our chin pad will work or fit on a pole different than the one you select below. Photo shown with Gator grip, not currently available.